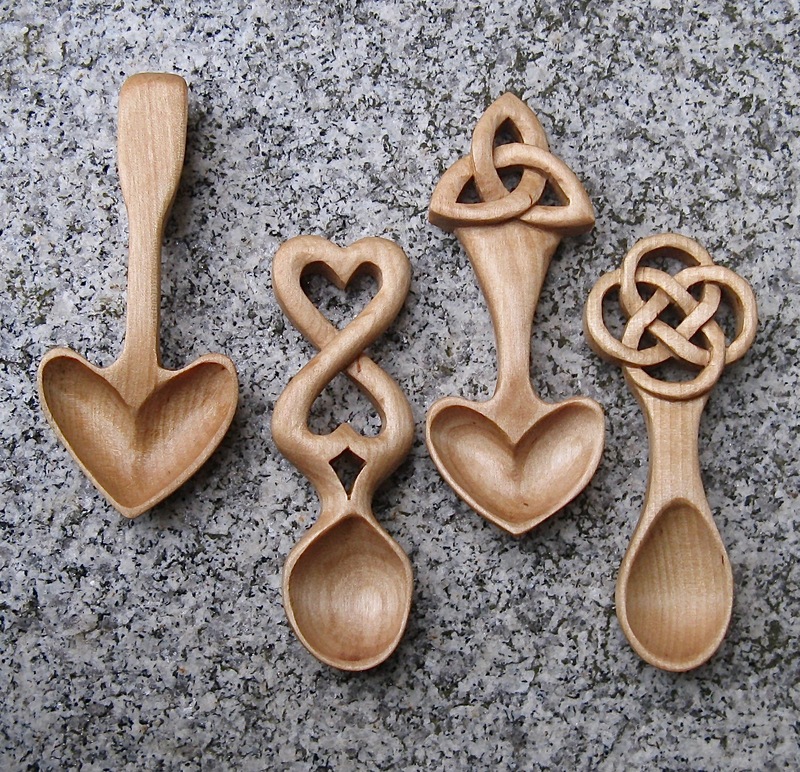 The Fed By Love Spoon design is to be a reminder that we are not fed by bread alone. It is a spoon that is a reminder of how Jesus once fed 5000 people. The heart shaped bowl is a reminder of how we are fed. The heart cut into the handle is a reminder of how we are to feed others. The Infinite Love Spoon celebrates the power of God’s eternal love that continuously is bringing us into relationship. Whether is it the relationship between two friends, a married couple, or a chance encounter with a stranger –it is that place of intersection where we are fed by the infinite power of God’s love. The Spoon of Blessing uses a knot that is well known. This knot is symbolic of the Father, Son and Holy Spirit. It can also symbolize ministry: God, self and neighbor. It can celebrate the birth of the first born: Mother, Father and child.No matter the interpretation, these relationships are a Blessing. The Spoon of Hope embraces the Truth that we are fed by that which brings us together. The number four celebrates that vision: 4 directions, 4 seasons, 4 elements of nature, the 4 Gospels. The intersections of the knot are a reminder of how we come into relationship with one another so as to create the strength and beauty of the weave.